This book examines the lasting influence of the academic culture wars of the late twentieth century on the humanities and progressive politics, and what to make now of those furious debates over postmodernism, multiculturalism, relativism, critical theory, deconstruction, post-structuralism, and so on. In an effort to arrive at a fair judgment on that question, the book reaches for an understanding of postmodern theorists by way of two genres they despised, and hopes, for that reason, to do them justice. The story, in its telling, justifies two basic claims: first, the phenomenological/hermeneutical tradition is the most suitable source of theory for a humanism that aspires to be truly universal; second, the ethical and political aspect of the human condition is authentically accessible only through narrative. 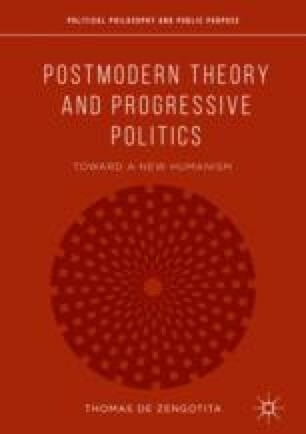 In conclusion, it argues that the postmodern moment was a necessary one, or will have been if we rise to the occasion—and that that is its historical significance.